Shortly after another disaster in Chernobyl, the authorities surround the area with the Russian equivalent of the U.S. National Guard, and they begin to hear weird screams and rumblings coming from within. After a while though, most of them are returned to earlier posts. Curiosity gets the better of some people, so they sneak into the 30-kilometer area to do some good old-fashioned investigating. These people are called Stalkers, and they report back to the authorities with their findings. The 3D engine shines in a few key areas, all crucial in shaping the game's atmosphere. It's got a huge draw distance, which leads to the palpable feeling that this is a big world. Lighting and shadowing are its other big strengths. 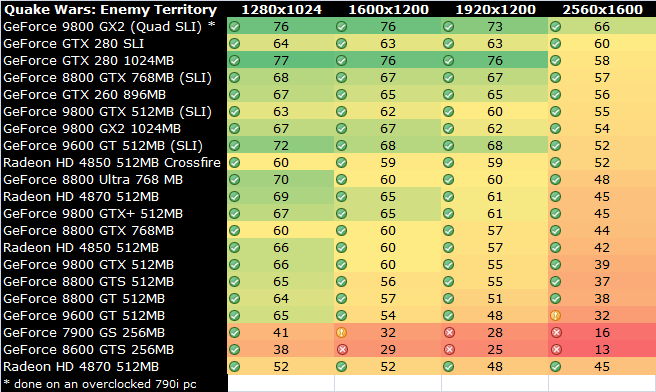 For this benchmark we have the in-game settings at maximum. For the second set we have Dynamic Lighting enabled as today's VGA cards will allow this lovely feature. The latest offering from Id, Activision and Splash Damage, Enemy Territory: Quake Wars is set in the Quake universe. Here are a few basic facts: It will involve humans fighting aliens. As the invasion begins, players choose to battle as one of five unique classes in either the EDF (Earth Defense Force - humans) or the barbaric alien Strogg armies, each augmented with specialist weapons and combat hardware. The game features John Carmack's "Megatexture" technology that employs extremely large environment and terrain textures that cover vast areas of maps without the need to repeat and tile many small textures. The splendor that is called megatexture technology is that each unit only takes up a maximum of 8MB of frame buffer memory. Add to that HDR-like bloom lighting and leading edge shadowing effects. Enemy Territory: Quake Wars looks great, plays nice and works high end graphics cards robustly. We test the game with all of its in-game options set to their maximum values with one exclusion, soft particles are disabled as the Radeon HD series does not support this feature; obviously we measure at 4X anti-aliasing and 16x anisotropic filtering. Benchmarking is however a little more complex with this game and therefore we first had to record a proper and objective timedemo. Secondly I had to program a script that would execute and collect the final data. In the future more and more results with diverse cards will be added. Soft Particles disabled (as it's not supported by the Radeon HD cards). 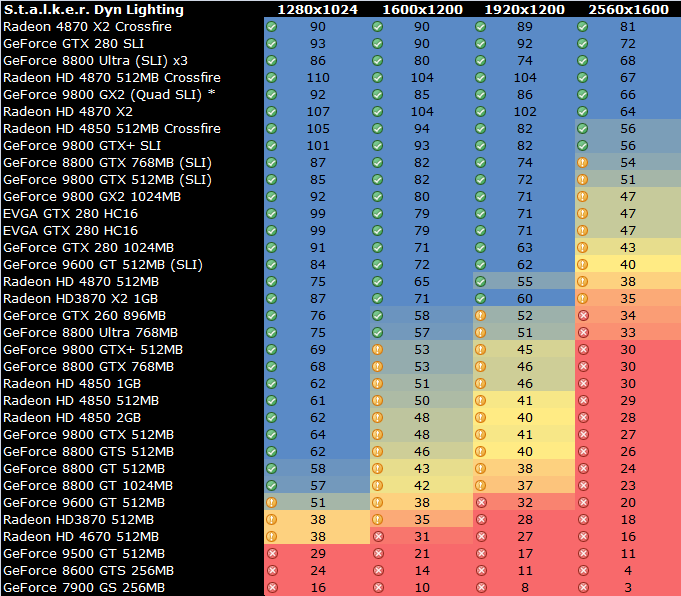 We just started using this software for benchmarking; in time more and more graphics card results of course will be added. Quake Wars is no longer updated as we removed it from our test suite. Soon more new titles will be added to the charts.